The European Film Academy has announced the three nominations for its Animated Feature Film Award, to be presented at the 22nd European Film Awards on December 12 in Germany. 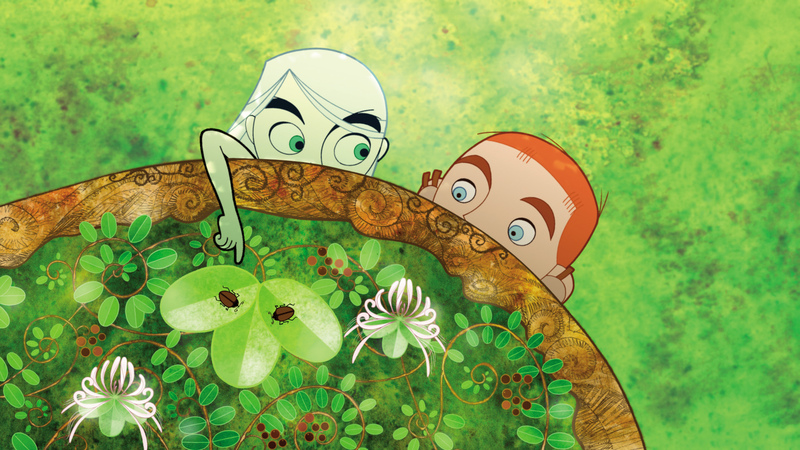 Tomm Moore’s The Secret Of Kells (France), Jacques-Rémy Girerd’s Mia And The Migoo (France) and Kari Juusonen & Michael Hegner’s Niko & The Way To The Stars (Finland/Germany/Denmark/Ireland) were selected by a jury made up of EFA board members. They will now be submitted to EFA members who will vote for the winner. 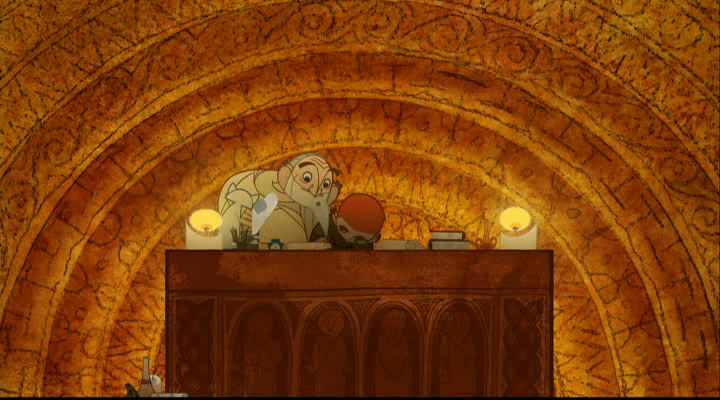 The Secret Of Kells, which was the big winner at the Cartoon Movie Tributes in March, is about a 9th Century Irish Abbey which is threatened by Vikings. Mia And The Migoo tells the story of a young girl’s encounter with a mysterious creature on her journey to find her father. Niko & The Way To The Stars is about a young reindeer who is still learning how to fly. The Icon award jury: "The jury would like to award an honorable mention to "The Secret of Kells", a film that stands out in the competition because of its unique design, its brilliant mixing of history, mythology and fantasy, as well as its boldness in using a medieval manuscript as the source of its inspiration, therefore acquiring a depth and a flavor quite unique in the animation sector." The first prize went to the amazing "Let the Right one in" . loads of FREE screenings over Halloween , I will be down there at the weekend too for a few Q+As. Loads of other great shorts and features showing then too, and Kerry is beautiful - wintry and wild these months. Another Viborg trip comes to an end. I just wanted to post about what a special place this is. The students have an amazing space tow ork and have consultants from sucha range of background sto look to. Its been really inspiring for me, to spend time in the energy of this place, do some drawing in different styles and some life drawing, and meet such enthusastic people, students and teachers. I hope I have been of some use to the students because their influence has certainly left me fired up about my own projects again! NB - The folowing article is an impressive analysis of the visual styles and themes in the movie. The only correction I would say is that the writer misunderstood the name of the crystal magnifying glass in the movie. "The Eye of Crom" refers of course to the worm god Crom Cruach who Brendan battles in the movie. Still, its impressive and flattering that someone would take the time to write about our film in such depth. 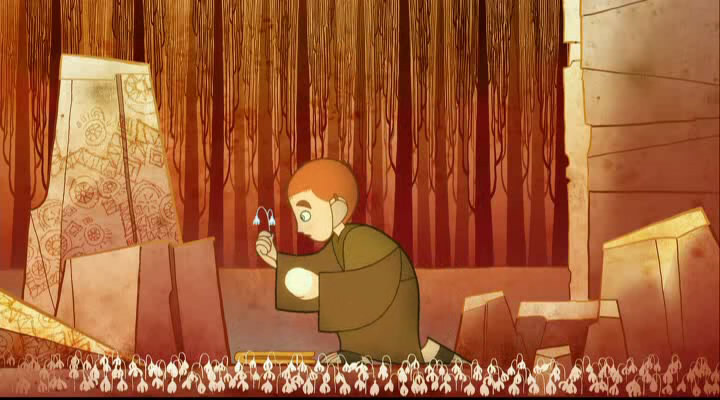 It has been some time since I sat through an animation as gorgeous as The Secret of Kells. Although highly experimental in style, the film is still accessible enough for wide range of audience to enjoy so I encourage you to take a look at this extravagant piece of art. What intrigued me the most about the film was its fascinating designs and animation inspired by the Insular Art (artistic style) of The Book of Kells, which will be the focus of this article. So what exactly is The Book of Kells? The history or purpose of this illuminated manuscript is not relevant to the interest of this article. What is relevant is its elegant designs and its relations to the film’s visual style. There are three main points I want to make in this post, and the first is its chaotic ‘loop’ of interlacing curves that you can see in the above picture. ‘Chaotic loop of interlacing curves’ is a pretty succinct way of describing the knots, braids and weaving found in the book. Why chaotic? Because chaos refers not to things that are random, it refers to things that are difficult to comprehend. The technique of interlacing in the book follows a number of simple rules but the actual illustrations appear chaotic because of its sheer degree of complexity. We can not fully comprehend the logic of its pattern at glance but we can instantly sense its beauty.What’s interesting about one of these ‘rules’ is how the strands of the crossings must be endless, and that no more than two strands can cross at one point. So if you focus and follow the strand (try doing it above with the picture on right), you will be stuck in an endless loop of one long strand interlacing itself. The choreography of the movement of the characters through these compositions is quite ingenious. It’s like they’re constantly shifting perspectives on you, coming up with creative new ways for the characters to move through the environs. In that sense it kind of reminded me of The Thief and the Cobbler. 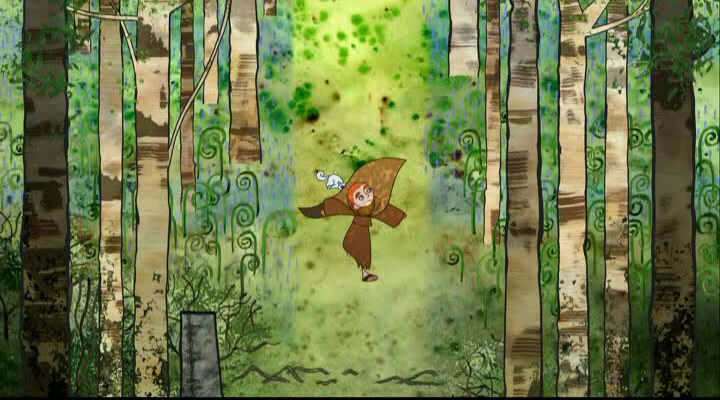 Representative of this is a shot in which a character is climbing a tree. 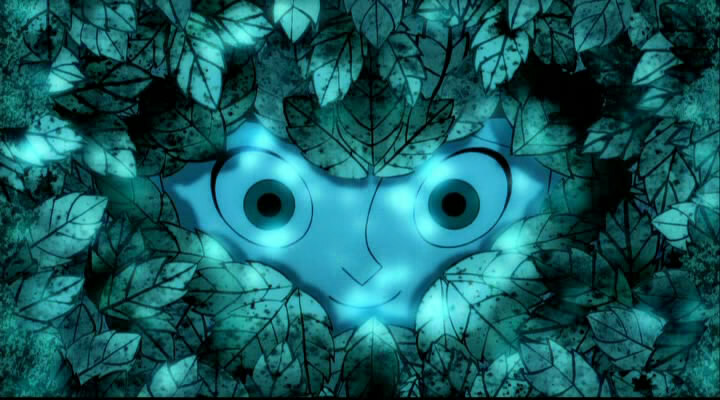 The leaves form a sort of line that divides the screen into two. The character climbs up across the left half, then passes under the line, and in the right half the perspective is suddenly different, as if they were two distinct shots. It’s unexpected and subtly done and has a marvelous effect, like a constantly shifting and shimmering optical illusion. So much thought was put into coming up with a variety of ideas to make each shot interesting like this. It’s not just the animation and art that are stylized – the directing is too. Another thing I want to add is that even the way the consecutive frames are strung together achieves similar effect. Whether it’s climbing a tree, running through a forest, or traversing the walls of the tower, one could almost imagine the camera making elegant curves as it swoops us over these landscapes. 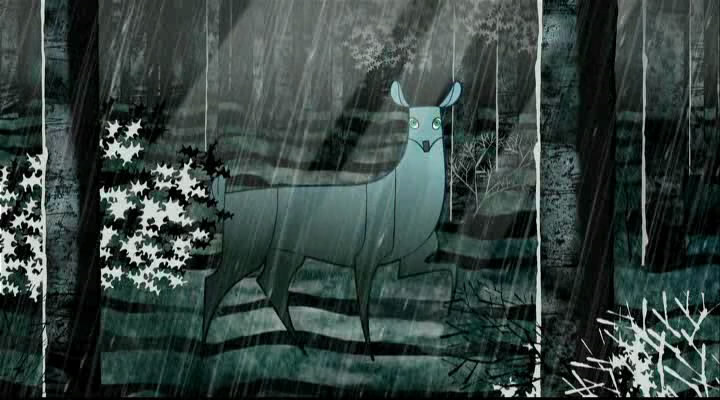 It’s like the creative staffs managed to translate the language of Insular interlacing in animation. Brilliant. Another point of interest in the book’s design is the sheer level of details. In fact some details are so meticulous, it can only be fully appreciated with a 10x magnifying glass. 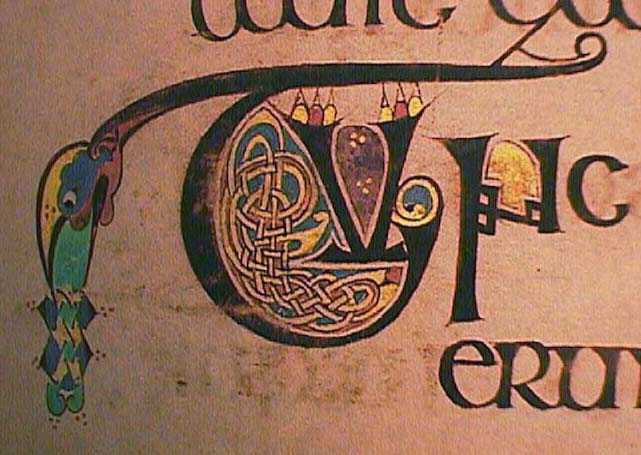 There is no magnifying glass in the film but there is a magical artefact called ‘The Eye of Cromwell’, a reference to the fact that the real Book of Kells was lost during the period of Oliver Cromwell. There’s an interesting relationship between this detailing feature of the book and the way The Secret of Kells presents its landscape. Animation is beyond a 2D plane, it’s an illusion to a 3D world. Our human eyes have a limited visual perception and acuity thresholds, therefore our ability to appreciate the level of colour variations and geometric differences changes as our spatial relationship with that object also changes. This is why architects have to consider, for example, how a surface may look from both end of the spectrum. See below, how Gaudi’s surfaces are so intricate at microscopic level and yet blend in so sublimely with the bench at greater distance. 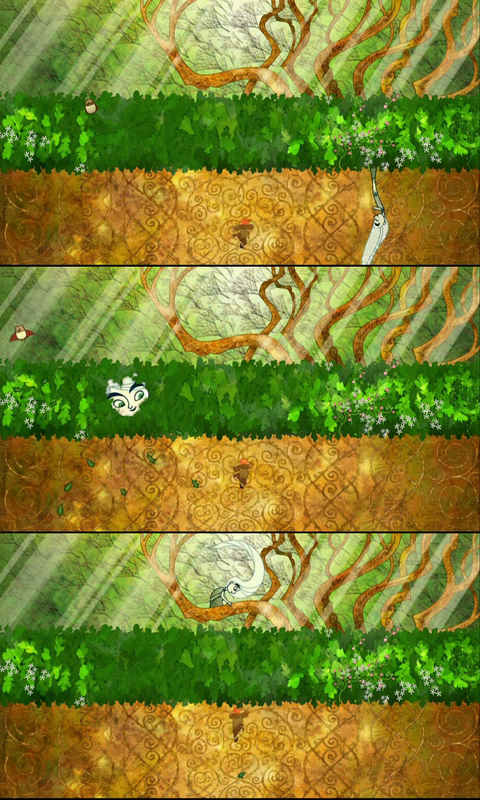 There is a particular scene in Secret of Kells that does this beautifully as well, which you can see in the below picture. At one moment we see the characters approach a giant ‘ball’ of different coloured spots. At closer inspection we find that the dots are actually butterflies fluttering about and filling that large air gap. 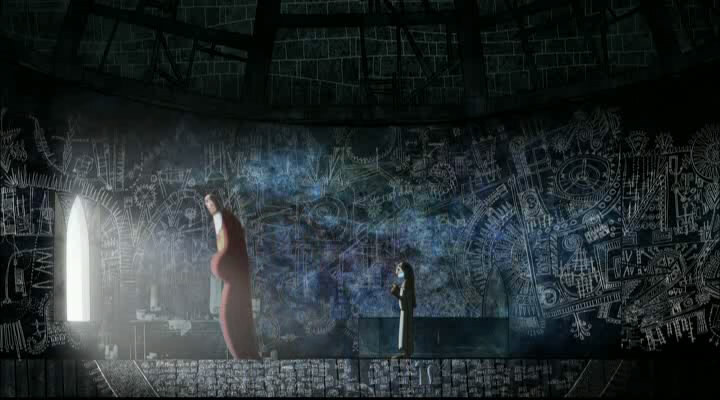 It’s also interesting that one of its messages is ‘you learn more from the forest then inside the wall’. From far away, imprisoned by your closed minds, it’s impossible to appreciate great things. You need to open that wall, open your mind, and traverse the nature to find god, to find the truth. To paraphrase Deleuze, philosophy can only be found at the front of non-philosophy. The Book of Kells is also known for mixing figurative with the ornamental (i.e. iconic pictures of people in decorative background), which continued to be the characteristics of later medieval illumination art. One of the reasons why each screens are so inviting to viewers may be that, despite highly experimental and sophisticated textures of backgrounds, they work well in harmony with more simplistic character designs. There are several other anime titles that I think are exceptional in this field too, including Kemono no Souja Erin. Although nothing impressive story-wise, this is definitely one of the most visually innovative animation you will likely to see. 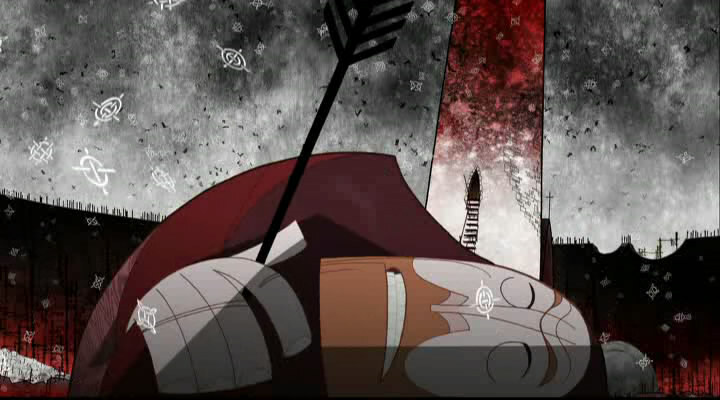 There is another point I want to mention briefly and that is its harmony between the visuals and soundtrack. It’s simply a feast for eyes and ears. It’s the kind of melancholic and beautiful harmony one would find in Kaiba and Casshern Sins (I remember talking about this type of aesthetics briefly with bateszi on MAL). I’m sure the below clip will win anyone over (also look at how the cat moves in that ‘interlacing’ movement, and how camera movement swoops the tower in similar fashion). Well that certainly was lush. Each screen cap is overwhelming. I think I’ve been trying to write this comment for an hour now. Your Deleuze quote is delicious. lelangir said it differently, but he and I (and Deleuze apparently) agree that one needn’t look to a ‘deep’ subject the create a deep experience. I can easily have such an experience watching K-ON! as much as anything else. In the case of this work, could it be that the thematic expression — the real work in it, is intended to reside less in the narrative, but more in the images and their motion? It seems like an obvious point, but I hope you know what I mean. Fascinating stuff. I have an amateur interest in illuminated manuscripts, especially the works preserved by Irish monks, so this is definitely something I’ll have to check out. For a cross-cultural look, have you seen anything done for the Qu’ran? Islam prohibits images of the prophets, so what artists did instead was turn Arabic itself into a work of art– a twisting, complex, utterly beautiful work of art. I recommend looking into it. Yea, it’s much more expressive visually than narrative, although to be honest the story was bit too much lacking imo. 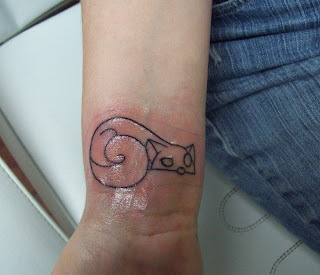 Kind of like Ponyo, but in this case it is bit harder to forgive for me. It’s a shame really because it is visually just so strong. Haha, I’m really surprised that you seem to know a little about everything I touch on, from Deleuze/nietzsche, Tasha. I am aware of the history of Qu’ran but not terribly familiar with the actual images and texts in it. Just finished this (oh joys of the internet age, that such thing can be readily found) and am very pleased. Personally I was quite happy with the simplistic story structure – although it felt a bit too hard on WallMan at times. I did like Aisling’s retreat from Brendan a great deal – one of those unexplained but utterly right developments. Anyway, enjoyed your points about intricacy a lot too, and the succession of images from the oak tree scene. I was thinking that a lot of the moods/places in the film involved heavily dominant colourschemes which, to me at least, mean a very different way of experiencing intricacy from how I imagine staring into depths of colour in the book. Most frames had one scheme going on, and one doesn’t always have time to stare deeply into it to discover the layers, but the animation leads into the next scene in a manner which makes it feel like an exploration of the same scheme. Well, I’m getting a bit incoherent, but this was gorgeous and a very fine recommendation. And yea, I love their colour schemes too. Each frame is so well considered, I wish more studios would put more efforts too. I wanted to check this out but the book is $40 on amazon, a bit pricey for my walletbook. Maybe my patience will pay off! I’ve been lurking from time to time as I found out we share some anime titles favs-wise , plus you always write thoughtful commentaries. I knew nothing of this little jewel of animation, for a medieval fine arts students like me this look like a treat indeed. I’m spamming your post to some pf my friends too XD. I hope you meant blu-ray disc, because $40 is quite a BARGAIN for the price I’d pay for the real book! You’re welcome XD, I bow to your taste and your maind. Forgive my typos and possibly unclear wording btw, I’m good at drawing but bad at typing. Moreover, English is my secondary language only. 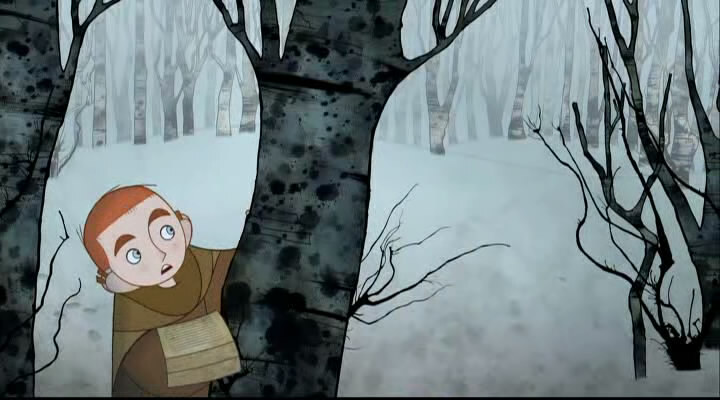 Back to The Secret of Kells. Is indeed visually pleasing and different, chara design – aptily retro – matches backgrounds and Celtic patterns well , plus I love the OST. I can only hope Buena Vista International is planning for distribution here in Italy (been spamming this movie to my Medieval Archaeology college professor and plan to notify her colleagues too . She’s looking forward to -ahem- sampling it). Thanks again for blogging and sharing your thoughts with us. Altered state is the best state to be in when watching artsy stuff like Fantascope =D. Your body needs to be relaxed, to feel those colours, movements and lines with your body, and just tired enough for your mind to not think too much, untie our way of thinking, and just connect to the imagination. As for Fantascope, it has lot of dialogues, but I watched it raw anyway. Of course I didn’t understand the details but I think it’s better to watch it raw than not watch it at all! And I hope your professor and colleagues enjoy the film too. And thank you again for the kind words, really makes my efforts worthwhile! 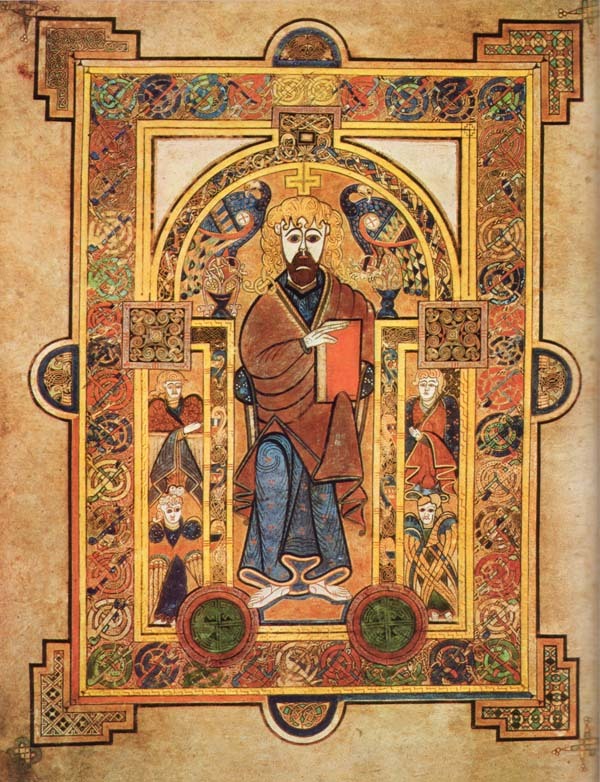 Though a cheerful atheist I still have great artistic respect for the magnificently illustrated Book Of Kells. For me, the twelve hundred year old manuscript is enhanced well beyond its religious origins by the exceptional richness of its illuminations and calligraphy. One of Ireland’s key national treasures the book is now kept at Dublin’s Trinity College. The circumstances that resulted in the survival of this artistic jewel are obscure, especially since Kells Abbey, where the book was kept and perhaps worked upon, was sacked by Viking raiders in the 10th Century. 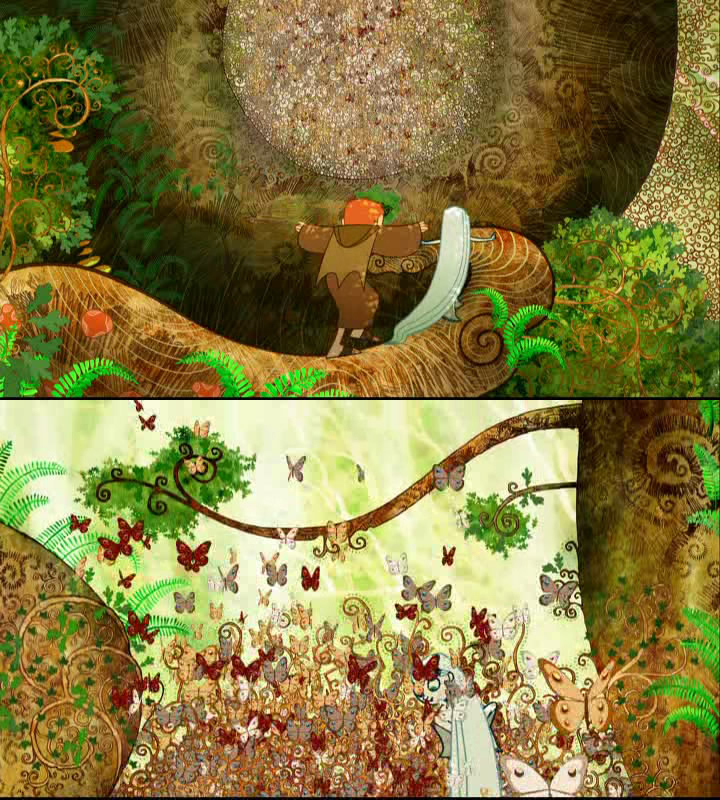 Fiction takes root in the cracks of history, which is where director Tomm Moore and his Cartoon Saloon studio plant this perfectly rendered animated feature that sheds its own civilised illumination upon the preservation of the book, taking inspiration from it for the stylised design of the characters and backgrounds. In a 9th century Abbey, 12 year old novice Monk Brendan (voiced by Evan McGuire) is entranced by the beauty of the book, carried to Kells by a refugee artist-Brother from another sanctuary already fallen to the sea reivers. Brendan is torn between his desire to work on the unfinished book and his duty to his uncle, Abbot Cellach, who is understandably focused on the Viking threat. Brendan is aided in his quest to keep the light of art shining in the darkness by Master Artist Aiden and his cat, which has a pretentious name and attitude to match, as well as a Puckish forest spirit that can manifest as a white wolf. That last sounds a bit curious in context but this film is inclusive in its acceptance of alternative religious fantasies. It reminds me of some of the more liberal modern Arthurian novels where Christians and ‘Pagans’ coexist in relative, if unlikely, harmony where normally they get on like heretics on fire. Spiritual companionship is not extended to the invaders, who are depicted as looming, brutish monsters, reminding me of similar beasties seen in Genndy Tartakovsky’s classic animated series, Samurai Jack. 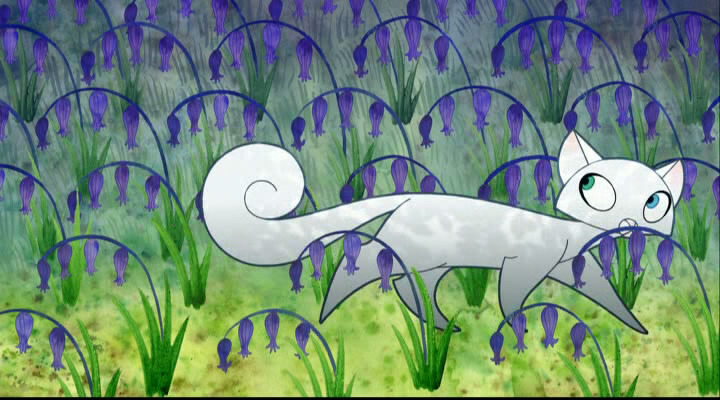 (Not surprising, if you’ve seen any of Cartoon Saloon’s own children’s TV show, Skunk-Fu.) 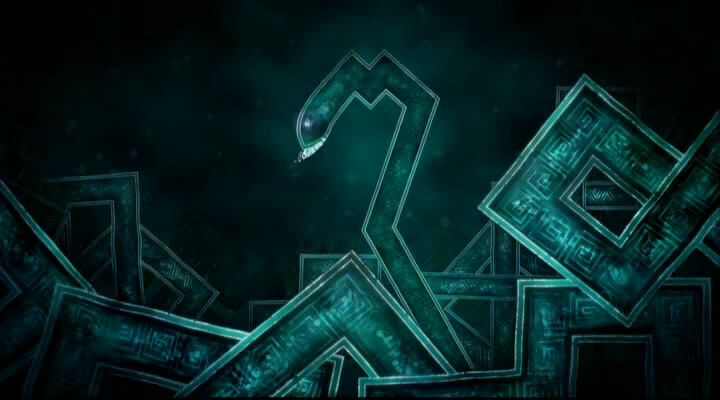 The Jack comparison can be further worked, as the book’s own illuminations are the inspiration for a serpentine Demonic Dark Power, reminiscent of Jack’s nemesis Aku, cleverly brought to life here as animated Celtic ‘knotwork’ and border designs. The pitch perfect vocal cast includes Brendan Gleeson, whom genre buffs know as the cab driving survivor in 28 Days Later and also as Alastor ‘Mad-Eye’ Moody in Harry Potter. We’re used to the wonders produced by Studio Ghibli and its kin but it’s cool to discover a new source of high grade storytelling where form and content are so masterfully blended. 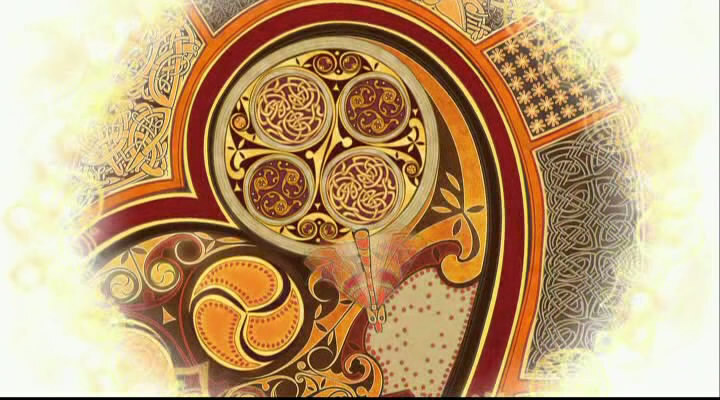 The beautiful Brendan & The Secret Of The Kells is one of the most illuminating features at the Festival. Heres a Euronews item on the Cartoon D'Or nominees and winner David O'Reilly. Well, I am off to Denmark now back to lovely Viborg .